This is the first of what will be a periodic feature, a casting call for some genre movie or television series. 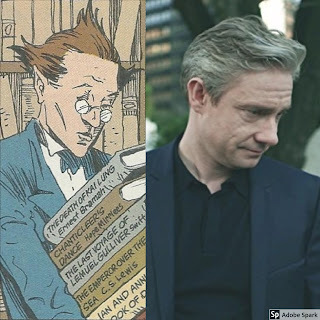 In this case, I'm casting for an adaptation of Sandman: Preludes & Nocturnes. I'll provide my take on the type of performance needed for each role, along with my selection for who I'd cast. If you disagree (and I know that you will, that's just how these things work), comment below with your alternate suggestions. First some background: Preludes & Nocturnes is the collection of the first eight issues of Sandman, capturing a time when the title was still learning what it was. While not the most loved of the Sandman stories, I think it's impossible to do a direct adaptation of the series without starting here, because it serves as an effective introduction to most of the key characters in the Sandman mythos and kicks off much of the plot that ultimately resolves at the end of the series. In addition, it would be difficult to pass up the chance to see Dream's foray into Hell where he plays a game of wits to win back his lost possession. Preludes is the most problematic to adapt, because it overlaps with the DC Comics Universe the most, meaning several characters and situations will need to be rewritten (in particular the appearance of J'onn J'onzz and to a lesser extent, John Constantine -- while these cameos helped provide the title a place in the DCU, when it comes to modern adaptation, they create a mess to be repaired). For this reason, I'm not bothering to cast those characters, as completely new characters should be generated instead to take their place in the plot, both to remove the DCU ties as well as diversify the cast. Preludes also contains a self-contained epilogue story, "The Sound of Her Wings", which introduces Dream's sister, Death. The entire series is sprinkled with these (usually stellar) standalone stories, and my idea is that each movie (or season of the hypothetical television series) captures one of these self-contained stories. As a result, I'll be casting Death here, with an eye toward the character reappearing frequently throughout the series. 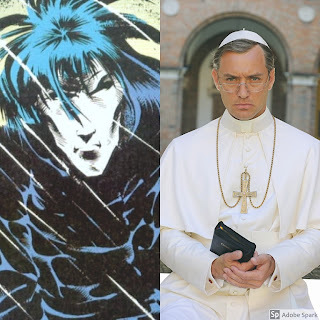 Sandman has alternately been pitched as a television series or a sequence of films, and for the purposes of this post, I'm not differentiating between these two options: most of the actors I've selected have worked in both formats. Morpheus (for casting purposes, I differentiate Dream between Morpheus and Daniel) is perhaps both the easiest and most challenging character to cast here. 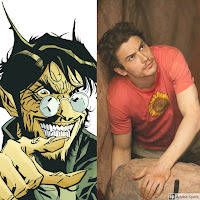 Countless actors have been linked to the part, due to actual plans (Joseph Gordon-Levitt), rumors started by remarks from Neil Gaiman (Benedict Cumberbatch or Tom Hiddleston), or wishful fan theories (John Malkovich). As Gaiman stated, "anybody who sounds English with great cheekbones can probably pull it off." The good news is I'm not even sure the English accent and cheekbones are necessary. Morpheus is established as appearing in a form that each observer can relate to personally (looking like an African dream prince to Nada, a Martian deity to J'onn J'onzz, etc.). Logically, any shape and form could be made to work. In fact, if it wouldn't be so prohibitively expensive given today's level of technology, it would make sense to shoot the series with a variety of actors as Morpheus, substituting the one that best fits the viewing audience on a theater-by-theater (or household-by-household) basis. Having said that, Morpheus is a tough cookie to crack. He is not a terribly demonstrative character. His is a taciturn demeanor. Yet he has to carry the enterprise: Morpheus receives the lion's share of the screen time, and his activities, quests, and failures drive the plot of the series. The actor inhabiting this role must be able to plumb deep depths of internal conflict and emotion without even nibbling the scenery. This is no role for those from the William Shatner school of acting. Together, these factors drove me to select Jude Law for the part. Law has an established record for pulling off highly reserved roles (A.I., Road to Perdition, The Grand Budapest Hotel). He can emote without taking grand action, which is a must for the role. While not the biggest name in Hollywood, he has sufficient star power to drive a film franchise (see his recent casting as a youngish Dumbledore). He also has a melodious voice that has just the right undertones to give an otherworldly flavor to the words Morpheus utters. Plus, at 5'10", he's just tall enough to not risk being towered over by his fellow cast-mates, providing Dream the right amount of physical presence in his scenes. 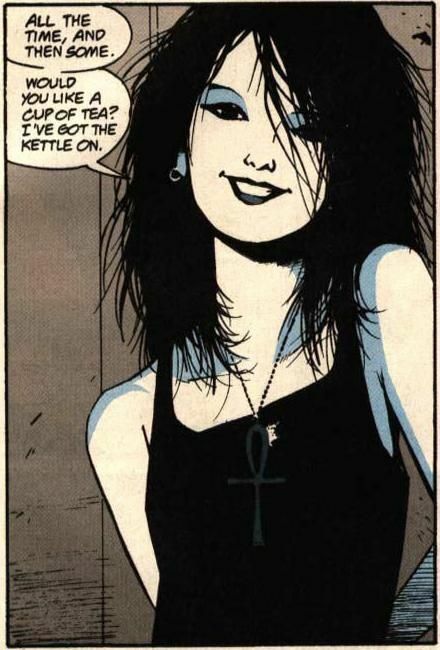 Death is perhaps the most multi-faceted of all the Sandman characters. The actor cast in this role must cutely quote Mary Poppins in one moment, scold Dream the next, then remind everyone watching that she's an ancient force in the universe two scenes later. Out of necessity, she is a character that always exists in a scene in relation to someone else, whether that someone else is a sibling, a soul to be collected, or some passerby whose humanity she wishes to connect with. As a result, she plays a dichotomous role as supporting and lead in almost every one of her scenes. This makes it a challenge for any actor wishing to take on the role, made all the more taxing by the fact that the casting and performance of Death will be minutely judged by the greater fandom, possibly more so than even that of Morpheus. 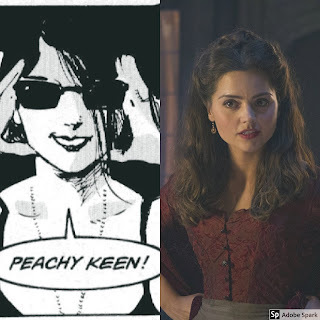 While there are any number of actors who could be mentioned for this part, Jenna Coleman is the one I've always imagined in my head playing Death. She has the softer sides of Death down cold. Picture Coleman talking about fat pigeons or smiling compassionately while she tells you that you've gotten the same lifetime that everyone else does, and she just fits. Where she will have to stretch is when playing those scenes where she has to say things like, "I'll put the chairs on the tables, turn out the lights, and lock the universe behind me when I leave." These are the types of acting moments that her career spent playing romantic roles have featured infrequently. Still, I've seen enough in her portrayal of Bonnie (aka "Evil Clara") on Doctor Who to believe that she has this in her arsenal. Lucien, Dream's most loyal servant who tends the library of impossible books and looks after The Dreaming when his lord is absent, is a relatively straightforward role. Lucien is high intelligent, studious, fairly compassionate, and typically exudes at least a trace of being perpetually put upon. I liken Lucien to Batman's butler/assistant Alfred, except without the need to dress wounds and make cucumber sandwiches. Few actors capture that put-upon feel like Freeman, who has made a career out of playing such characters. From Arthur Dent to Tim Canterbury to Bilbo Baggins to Dr. John Watson, Freeman combines wit, thoughtfulness, and bubbling impatience deftly. 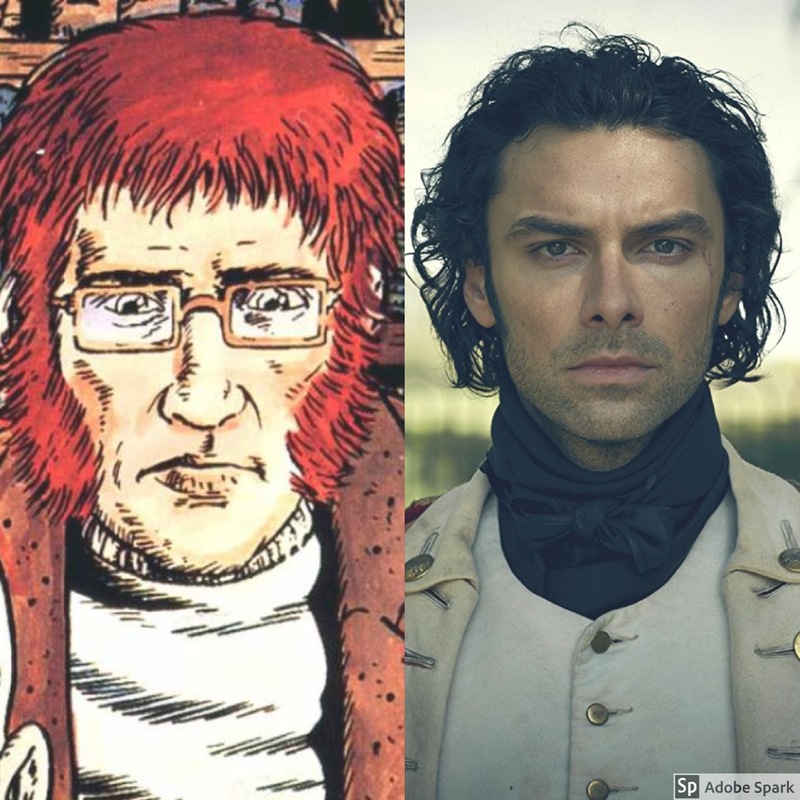 Some may naysay this selection because his height, especially relative to Jude Law's, does not match the stature of Lucien in the comics, but I find matching the persona of a character to be far more important than exactly matching its physical details. When he first appears in Sandman, Lucifer seems destined to be a major villain in the series. However, in keeping with his stated goal of free will, he breaks from that pattern and instead becomes another supporting character, causing obstacles for Morpheus to deal with, but not actively working counter to Dream's goals. In many ways, Lucifer represents a parallel to Dream, both at some point telling someone how tired they are. Both Lucifer and Dream need a change, but achieve those changes in very different ways. 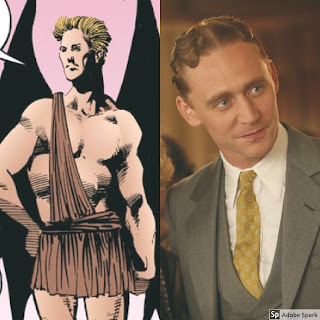 The actor portraying Lucifer has to be handsome, fitting Lucifer's angelic origins. However, he has to be able to convey an almost lazy menace, being equally believable as a ruler of Hell as well as an owner of a night club. At different times, Lucifer scolds Dream for getting captured by mortals, threatens Dream with eternal damnation, complains about mortals blaming their every failing on him, and begrudgingly complimenting God on His sunsets. Fittingly, you can't trust Lucifer to be just one thing or the other. For a mere recurring character, Lucifer has some delicious scenes requiring range from the actor portraying him. I worry a bit that Tom Hiddleston is a little too on the nose for this role, but once he entered my mind, it was impossible to get him out of the part. His portrayal of Loki over the years has at one time of another contained every aspect of the makeup of Lucifer. The charm, the menace, the fatigue of fighting predestination: they're all there in his filmography. The sunset scene in particular seems written for him. I admit that the first actor I thought of for this was Tom Hardy, but really, I want him playing the Corinthian when we get to The Doll's House. Michael Fassbender also came to mind, but we can cast him as Destiny or Destruction later in the series. Luke Evans was someone else I considered. Abel provides some physical challenges to cast. While it's not an absolute necessity, it would be nice if the actor could physically match the character's rotund physique. At the same time, the oft-murdered Abel requires an actor capable of significant physical acting. In addition, Gaiman's Abel is typically meek, vulnerable, and kind, requiring a deft hand to avoid becoming an annoying cartoon. Josh Gad fits both the physical demands of the role as well as the need to portray a sort of corrupted innocence, as evidenced by his Tony-nominated performance as Elder Cunningham in Book of Mormon. He has the ability to shift both comedic and dark, which is important for Abel. 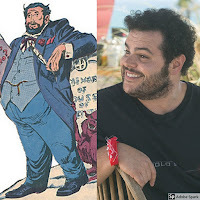 His recent turns in films such as Marshall and Murder on the Orient Express show a deeper side to Gad than his many comedic roles might indicate. He skews a little young for the part compared to Abel's portrayal in the books, but I don't see that as a significant issue. Cain requires a surprising range for an actor given he's best known for murdering his brother every chance he gets. It is true that his most frequent mode is one of impatience, surliness, and anger. But he also has a few thoughtful moments, particularly when dealing with his lord, Dream. The actor inhabiting Cain has to be as believable prostrating himself before Lucifer as he is taking an ax to Abel's head. James Franco certainly has that kind of range, playing both manic and quiet roles throughout his career. I think he can bring a degree of vulnerability to Cain that would allow the character to avoid becoming a one-note, unlikable bully. He is also close in age to Josh Gad, allowing them to pair up nicely as siblings on screen. Nada has only a brief scene in Preludes & Nocturnes, but will be reappearing again in more substantial chunks later in the series, so we want to cast her well. 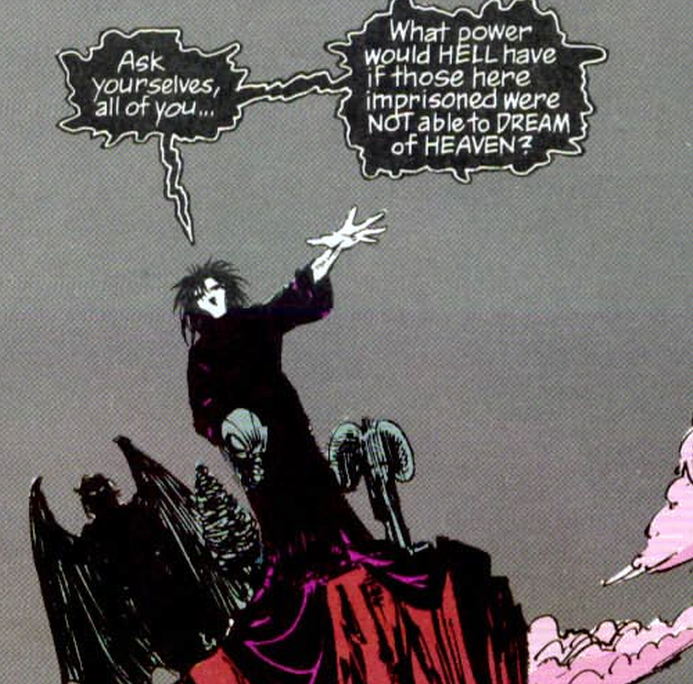 Sandman features few classic romantic roles, so casting someone who can make the audience feel the love between Morpheus and Nada, the pain of needing to break things off with him, and the fortitude to bear the centuries of torture she experiences after being banished from Hell will be important. I thought casting Lupita Nyong'o as Nada might be a little too on the nose given her performance in Twelve Years a Slave. 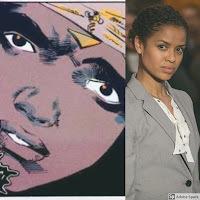 Instead, I went with Gugu Mbatha-Raw, a British actor who is a little less well-known internationally but is someone I can't stop watching when on screen and who received rave reviews for performances like her star turn in Belle. Mbatha-Raw brings a softer touch to Nada that I think will cause the audience to relate strongly during Nada's Hell scenes as well as power the romance scenes with Morpheus. It's clear that the John Dee in this film can't be the classic Justice League villain Doctor Destiny. However, he plays a pivotal role in the story and some version of him needs to make it to screen. I believe it would be possible to simply strip away the super-villain aspects of the character, leaving him as a demented psychologist with a god complex. His role is a horrific one, as evidenced by the disturbing fan film, 24 Hour Diner. 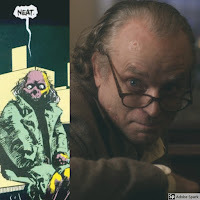 The actor taking this role has to be someone who can creep the hell out of the audience, play a convincing psychotic, and bring a level of authoritative evil to the story. Brad Dourif has plenty of experience playing creepy and menacing, but can also inject a level of vulnerability into his roles. Nominated for an Oscar for One Flew Over the Cuckoo's Nest, he's since had several noteworthy turns as villains ranging from Chucky to Wormtongue. He'll be at home both torturing his fellow diner customers and cowering before Dream. For being the guy who sets off the events of the entire series, Roderick Burgess doesn't spend all that much time on screen. Still, it's such a pivotal role that we want to have some weight to the performance. His capture of Morpheus while attempting to instead bind Dream's sister Death in a bid to attain immortality triggers everything that happens in the rest of the series. Roderick is, in the story's universe, meant to be Aleister Crowley's rival when it comes to dark magics. He is incredibly self-serving, having built an entire cult around the desire for more personal power and wealth. The actor taking this role has to show a self-centered view of the cosmos as well as a heightened level of frustration as his attempts to bargain with Dream go nowhere. 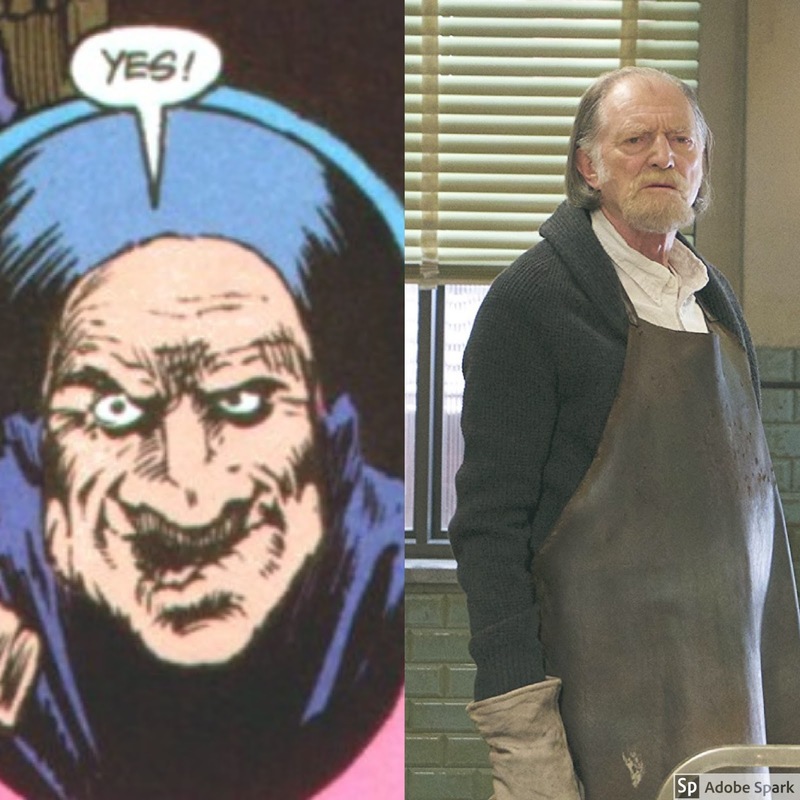 David Bradley brings with him just the right amount of menace and disregard for humanity. 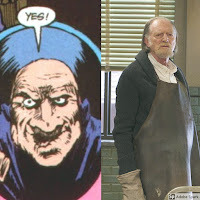 The personality aspects Bradley brought to life as Walder Frey in Game of Thrones would map quite well to the surly Roderick. While he inherited his father's passion for magic and his obsession with the captive Dream, Alex Burgess shows none of his father's surliness, instead coming off as quite weak. His relationship with boyfriend Paul McGuire (who I'm not casting here) is rather tender. Still, the actor playing Alex needs to bring a quiet tint of menace to the part. Alex is someone who has touched evil in his dealings with magic, and even though he may not be up to mastering that evil, he feels bound to it through his desire to live up to his father. 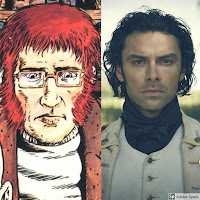 Aidan Turner can certainly bring that hint of menace. I also think he can provide a level of tenderness to scenes with Paul and vulnerability when portraying the fear Alex has of Morpheus. We only get small snippets of Alex over time, and Aidan will ultimately spend much of his screen time in heavy makeup, but I'd fully expect him to make the most out of the opportunity. I'm leaving the rest of the characters to my imaginary assistant casting director to take care of. What did I get right? What did I get wrong? And should I do The Doll's House the next time I do a casting call, or should I jump to a different story/franchise? Let me know if the comments!